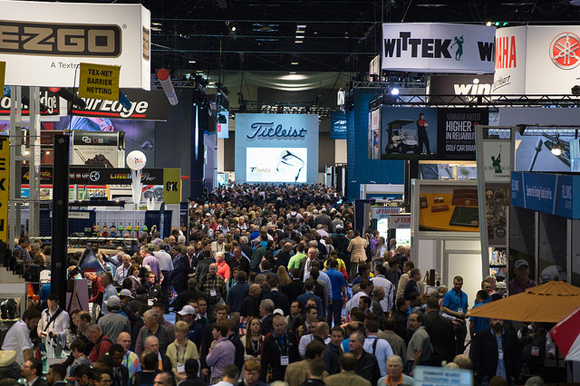 Attendance figures were not available at this writing, however long time industry members and media commented that the numbers of buyers, PGA professionals and other attendees seemed to be as high or higher than the previous few years. It was expected over 40,000 would be present for at least one of the three days of exhibitions on the floor of Orange County Convention Center and at the Demo Day preceding. The number of companies exhibiting was approximately equal to 2015, close to 1,000. The annual Show is not open to the public. 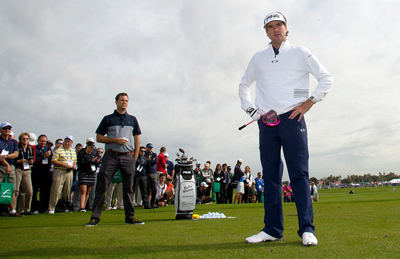 Bubba Watson on an overcast demo day. PGA of America President Derek Sprague was pleased. 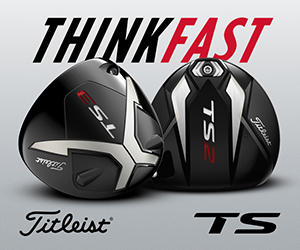 “We had record attendance at the Outdoor Demo Day and pre-registration for the PGA Merchandise Show was up over all categories,” he said. Show week kicked off with paratroopers, bagpipers and ceremonial tee shots to begin the 14th Outdoor Demo Day on Tuesday, Jan. 26, at Orange County National Golf Center in suburban Winter Garden. 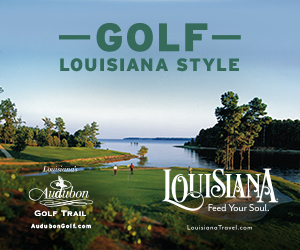 The 200-plus hitting bays of the circular 42-acre driving range afforded PGA professionals and buyers the opportunity to test equipment from more than 100 companies. The Show exhibitions began on Wednesday and ran through Friday. In addition to the newest and latest clubs, balls, apparel, accessories and dozens of other golf related items several celebrities were on hand to promote their sponsor’s products. Among the names on the floor were Lee Trevino, Johnny Miller, David Ledbetter, Martin Hall, Lexi Thompson, Bubba Watson, Stephen Bowditch, Ian Poulter, Lydia Ko, Justin Thomas and Graeme McDowell. Lexi giving autographs on demo day. 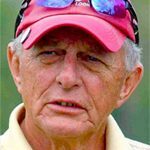 The overriding question, however, is the same every year: What is the state of the game and how healthy is the golf business? The answer is the obvious concern of everyone making the annual pilgrimage to Orlando. There is never a consensus answer, but two observations were heard frequently. First, the equipment companies acknowledged that the past 12 months were particularly tough and more mergers, changes in ownership and even bankruptcies could be coming up soon. We will be detailing more information on show specifics in this blog in the weeks coming up and taking a close look at Game Golf and its competitors in the shot-tracking technology category and its appeal to younger players and others in the April-May issue of Golf Oklahoma.